Popular Seed Mix For African Greys, Macaws and similar parrots. A clean, low oil seed pet parrot food. 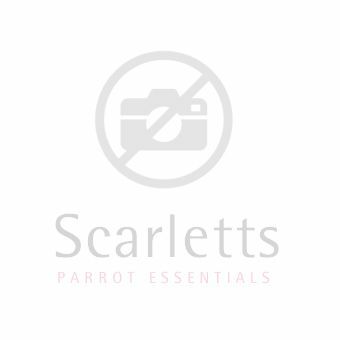 AS20 - Pet Parrot Mixture is a popular mixture specifically designed to meet the overall dietary requirements of African Grey parrots, macaws and similar. AS20 mixture provides a clean, low oil seed pet parrot food. The blend consists of a wide selection of twenty seven wholesome ingredients. Suits medium and large sized birds.